Ms Lorena Archundia holds the post of Directora de Cátedras at the Mexican National Council of Science and Technology (CONACYT). She obtained a Master in Administration and Public Policy by the Center for Economic Research and Teaching (CIDE) and the Degree in Political Science and Public Administration by the Universidad Iberoamericana. Mexico. In CONACYT has developed a wide trajectory among them, in the Deputy Director of Scientific Development as Director of Science Planning. In the Ministry of Public Education, she served as Advisor to the Secretariat for Educational Services for the Federal District, under the responsibility of following up the issues of professional development of teachers, teaching science, plans and study programs, projects in Support for school infrastructure, international cooperation and social communication. At the state level, she has been Director General of the State System of Documentation and Archive of the Institute of Public Information and Statistics in Morelia (IMIPE). Among his publications, stands-out her participation as co-author in the publication titled “The institutional design of the science and technology policy in Mexico”, published by CIDE and the Institute of Legal Research of the UNAM. She coordinates the UNESCO Regional Chair for Women, Science and Technology in Latin America (www.catunescomujer.org), and the GenderInSITE Focal Point for Latin America and the Caribbean. 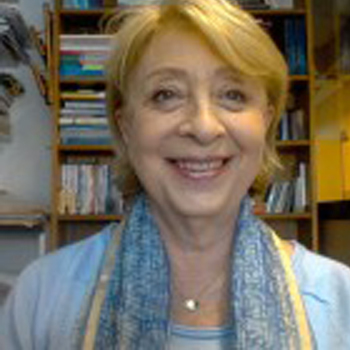 She directs the Virtual Master’s program in Gender, Society and Policies – PRIGEPP (www.prigepp.org) and the UNESCO Global Network of Chairs for Gender Equality. For more than 3 decades, she has produced numerous (national and international) studies and publications on gender issues, science and technology, STEM education, communications, youth and policy. She has been a guest professor at various universities in Latin America, Spain, Italy and the United States. She has contributed as an expert on gender issues for numerous governmental, academic and international institutions such as OAS, ECLAC; UNICEF, UN WOMEN, UNDP, and UNESCO. Member of the Advisory Board of SAGA UNESCO (STEM and Gender Advancement). Member of the ITU/UNESCO Broadband Commission for the Sustainable Development – adviser to the Secretary General of the United Nations. 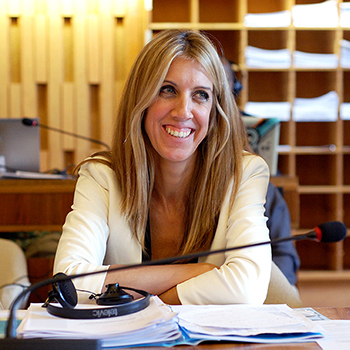 She is a member of the jury for the UNESCO Education Prize for girls and women. Born in Mozambique, she has over thirty years of experience working in the field of science policy, development plans and monitoring of science policies and instruments, the forestry sector, traditional energy (biomass and coal), management in higher, technical and vocational education, ICTs for development, university professor, researcher, consultant and main manager at national, regional and international institutions, combining academic and practical aspects to promote sustainable development. From 2009 to 2014 she was UNESCO’s Director of Science Policy and Capacity-Building at UNESCO Headquarters in Paris. 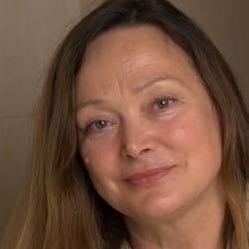 She has worked extensively in the advancement of STI for sustainable development. She was the first Minister of Higher Education, Science and Technology of Mozambique (2000-2005) and Vice-Chancellor of the Eduardo Mondlane University (1998 to 2000). She has collaborated on numerous boards, such as the Governing Council of the UNESCO Institute for Water Education, the United Nations University Council, the Advisory Council for the Community Development Carbon Fund, the Board of Directors of the Gateway Development Foundation; and is currently a member of the Board of the Stockholm Environment Institute, the African Forum on Forestry, Biodiversity (CGIAR Center), among others. In May 2014, she has named Director of the UNESCO Regional Office for Science in Latin America and the Caribbean and UNESCO Representative in Argentina, Paraguay and Uruguay, based in Montevideo. Has spent the last fifteen years working in projects related to economic development and new technologies. Currently he is the Chief of the Innovation and New Technologies Unit in the Division of Production, Productivity and Management at the United Nations Economic Commission for Latin America and the Caribbean (ECLAC). He has served as an ICT policy expert, coordinating the ECLAC @LIS2 project, an initiative co-funded by the European Commission and executed by ECLAC that focus on dialogue for the information society in Latin America. 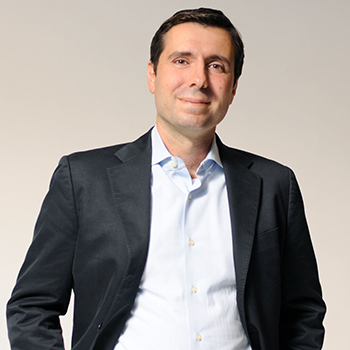 He has served as the Director of the Chilean Technology Office in Silicon Valley in California, Head of Investment and Development at the Chilean Economic Development Agency (CORFO), board member of the InnovaChile committee, and Executive Secretary of the Public-Private Coalition for the Global Services industry, one of the four clusters prioritized by the National Council for Innovation in Chile. 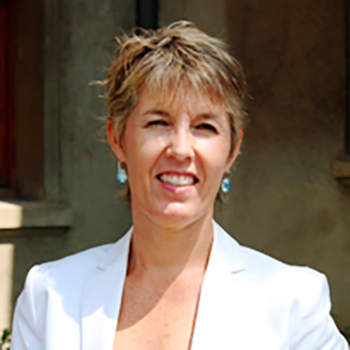 Since April 2008, Mary Guinn DELANEY has been a Regional Advisor on Health and HIV Education, based at UNESCO’s Regional Office for Education in Latin America and the Caribbean in Santiago, Chile. A trained economist, she has more than 25 years of experience on issues related to education in sexuality, gender, school health, HIV and economic development. From 1993 to 1996, she directed the AIDS program of the Global Health Council (Washington, DC, USA), and later served as UNAIDS Country Coordinator in Namibia and Honduras. Based in Managua, Nicaragua from 2000 to 2005, she coordinated the activities of the Latin American and Caribbean Initiative of the Synergy Project, a global activity funded by the United States Agency for International Development (USAID). 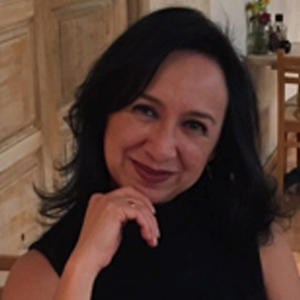 She has worked with various international cooperation agencies and the United Nations System, participating in multiple strategic planning and evaluation processes in Latin America. Before joining the IDB, Matteo worked as a consultant economist at the UN Economic Commission for Latin America and the Caribbean (ECLAC) in Santiago, Chile and as a researcher at the Centre for Research on Latin American and Transition Economies Studies (ISLA) at Bocconi University in Milan. He holds a PhD in International Law and Economics from Bocconi University and an MA in Development Economics from the University of Sussex (Brighton, UK). 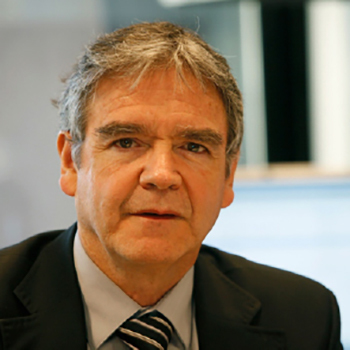 His main research interests focus on economics of innovation and creativity, gender and STI, and ICT for development. At the IDB, he designs and manages programs to promote science, technology and innovation in Latin America and the Caribbean. Agronomist of the University of the Republic, UdelaR, Uruguay and master in Water and Environmental Management of the Water, Engineering and Development Center, WEDC, Loughborough University, UK. She has worked in the field of natural resource management in different international organizations, acquiring extensive experience in the enforcement and implementation of environmental programs, both at global and regional levels. In the last decade, she has worked for the Division of Water Sciences of UNESCO and has collaborated with other scientific programs of the entity, including scientific education and women in science. In this role, she has been responsible for the development and achievement of actions created by the organization, in addition to promoting and strengthening the creation of scientific networks in the region. She has been a lecturer and expositor in several regional and international forums, as well as editor and critic of scientific and technical publications, and collaborator for magazines and publications of partner organizations. Director, Portia Ltd, UK; founder, Gender Summit. Portia is an organization devoted to improving gender equality in science and promoting the inclusion of the gender dimension in STEM research. She has 20 years’ experience teaching and researching in the Departments of Computing and the School of Management at Imperial College, University of London. Her original training was in Biophysics. She now applies this scientific background to guide the work of Portia. Portia was the coordinator of the EU funded genSET project, the idea of for Gender Summit emerged from the results of that project. Portia’s strategy is to use a variety of projects and activities to: (1) create opportunities for engagement and advancement in science, across all science disciplines for women (and men); (2) promote fair and supportive research cultures that are collaborative and inclusive; (3) ensure that quality of research and innovation is not affected by gender bias; and (4) show how new ideas and markets for science knowledge can be created by using gender knowledge, and by including women as co-owners and co-solvers of the problems facing societies around the world today. 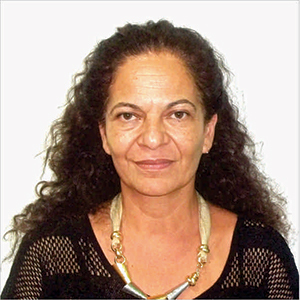 María has a degree in Social Anthropology from the National University of Rosario in Argentina, with a master’s degree in the Sociology of Development, a master’s degree in Urban Development and Local Administration, a diploma course on International Relations in Madrid, and PhD studies in Sociology at the Universidad Complutense de Madrid. 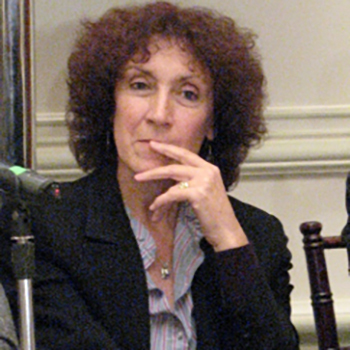 She specializes in public policies with a focus on gender and human rights, and has written articles, documents and books on the situation of women and gender equality in Latin America and the Caribbean in areas such as the labor market, migration, family, care, training and education, poverty, social protection, and violence. 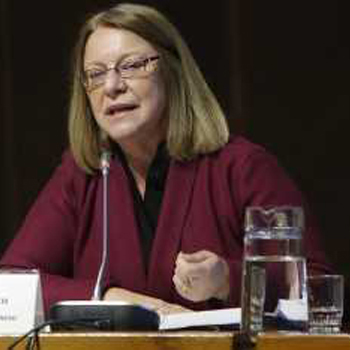 She is currently the Director of the Gender Affairs Division of ECLAC. She is Deputy Director General for Scientific Development at the Mexican National Council of Science and Technology (CONACYT). She has strengthened the efforts of scientists, both in the basic and applied fields, to advance their research, and encouraged innovation that is based on science. For over 25 years, she has been a research professor at the Universidad Nacional Autónoma de México (UNAM). She studied physics at UNAM and obtained a PhD at Oxford University. Her main fields of research are solid-state physics and renewable energies, and she has worked extensively on science communication. She is a member of the Mexico’s National Research System, with the highest rank, and of different societies, such the Mexican Academy of Sciences and the Institute of Physics of the United Kingdom. She has also worked on science communication, and she is a former director of RedPOP, the Latin American and Caribbean Network for the Popularization of Science and Technology.